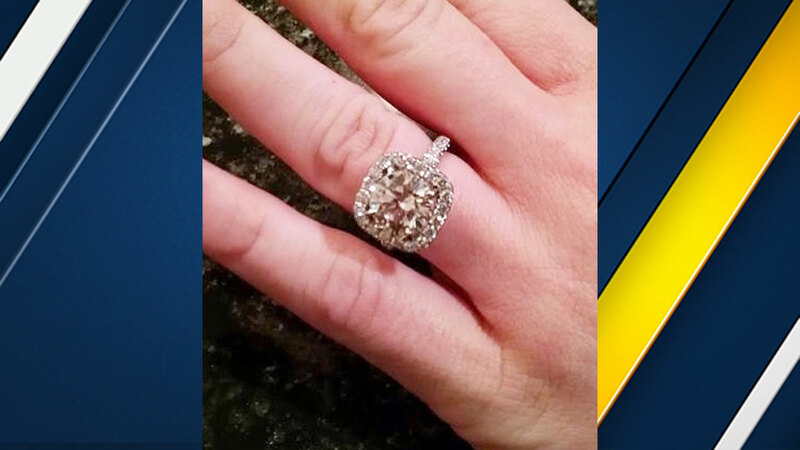 A Costa Mesa woman says her $32,000 engagement ring was taken after she accidentally left it in a bathroom at the airport in San Jose on June 10, 2016. SAN JOSE, Calif. -- A Southern California couple desperately needs your help to find a $32,000 engagement ring left behind last Friday in a women's bathroom at Mineta San Jose International Airport. The Costa Mesa resident had just landed in Terminal B when she took her ring off to wash her hands. She hurried off to a waiting Uber car and left it behind. When the bride-to-be realized her mistake, she raced back to the bathroom, but the ring was gone. "It had to be a woman that took it," said the woman, who asked her name not be used because of safety concerns. "And that's extra heartbreaking because that's someone that knew the value of it and still not want to turn it in." The ring is insured, but she said the original holds a lot of sentimental value. Anyone with information is asked to call San Jose police at 408-277-5400.